Now, we are continuing the tutorial from page 1. We are at the point in the tutorial where the text box is complete. Now we need to find a way to have the text box follow the mouse and appear when the user hovers over the button. The text box should disappear if the mouse cursor goes outside the button field. Insert a new layer in your timeline. This layer will contain our actions. If you preview your animation, you will see the yellow rectangle follow your mouse around the animation. Notice the text in quotations after _root.caption.words = "Word!". The word, Word! will be displayed when the mouse hovers over that button. Copy the above code and paste it on all the remaining buttons. In each of the buttons, modify the word after _root.caption.words to something like, Greetings!, Howdy, Hello!, etc. In the end, you will have the same lines of code on each button with the exception of the word in quotations. Save the file and preview the animation. 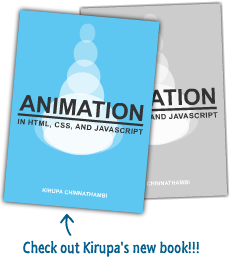 Save the animation and preview it in your browser. You will see the caption display when you hover over your button and disappear when you hover the mouse out of the button. You have technically completed a hover text caption. Aesthetically, there is one nitpicky detail you may want to change. When you preview the animation and hover over the button, have you noticed that the rectangle containing the text box has the tendency to go under the mouse and covering up a letter in the caption instead of staying clear of the text? Right click on the rectangular box and select Edit in Place. Make sure both layers in the timeline are unlocked. Once you have made sure both layers are unlocked, press Ctrl + A to select both the objects: the background and text field. You are done. Go back to your main timeline by pressing the Scene 1 text or the blue arrow. Save and preview your animation. You will notice that the text caption appears at the very tip of the mouse pointer and does not get covered by the mouse pointer!